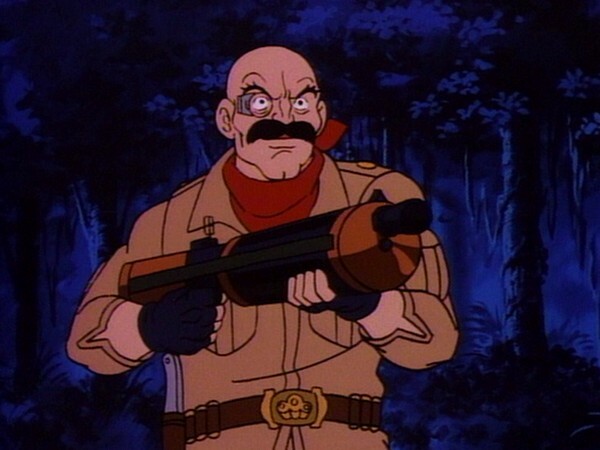 SAFARI JOE, an intergalactic big game hunter, arrives on Third Earth to hunt the THUNDERCATS. 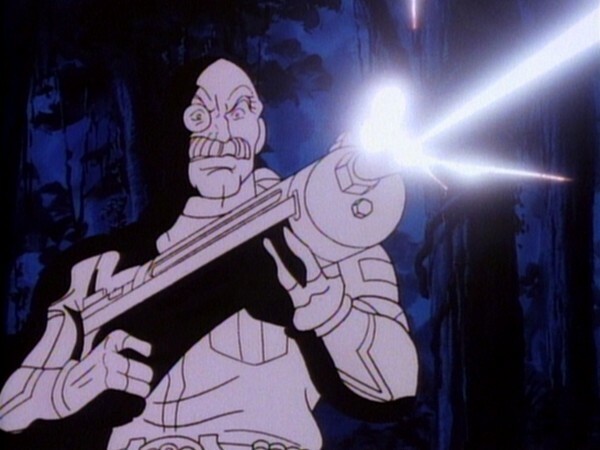 Using his Multi-Barreled Gattling rifle, he captures each of the THUNDERCATS and imprisons them in cages of Thundranium, which drain them of their strength. JAGA appears and tells LION-O of the THUNDERCATS’ capture, warning him of SAFARI JOE’s powers. LION-O falls into the hunter’s camouflaged pit, but uses the Claw Shield as a decoy and escapes. LION-O and SAFARI JOE make a pact: LION-O must fight him without the Sword of Omens and he will release the THUNDERCATS. LION-O cleverly lures SAFARI JOE to the Cats’ Lair basement where he and SNARF spook SAFARI JOE into a cowardly surrender. 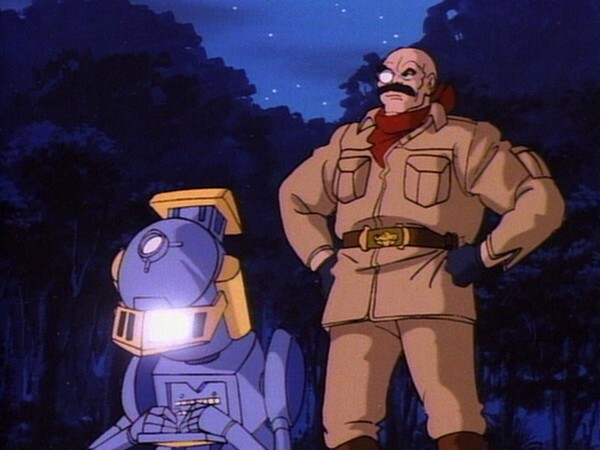 PANTHRO reprograms MULE, SAFARI JOE’s robot, giving him a positive work directive. Safari Joe, who covers up his insecurity and cowardice with a false bravado, is exposed as dishonest and dishonorable when he changes from being the hunter to being the hunted. He cannot admit to himself and others the truth about himself. 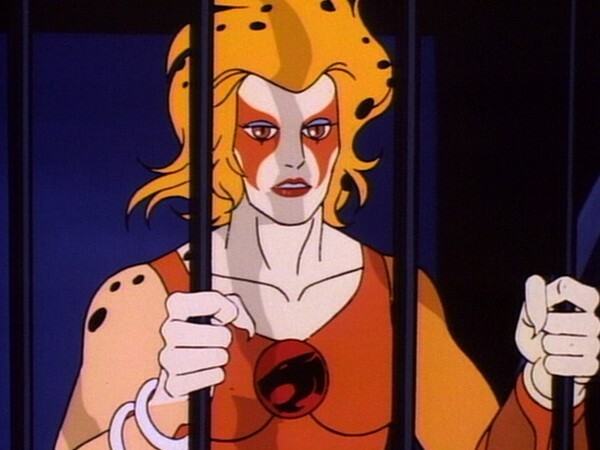 In this episode, it is shown that even the ThunderCats have strengths and weaknesses, just like we do. Being honest with ourselves about our abilities and accurately appraising them allows us to be open, honest and truthful in our representing ourselves to others. Friends respect one another more when each is truthful and realistic in one’s self-appraisal. Having a weakness is not cause to cover up and be deceitful in relating to others. No one is perfect and we all have both strengths and weaknesses. 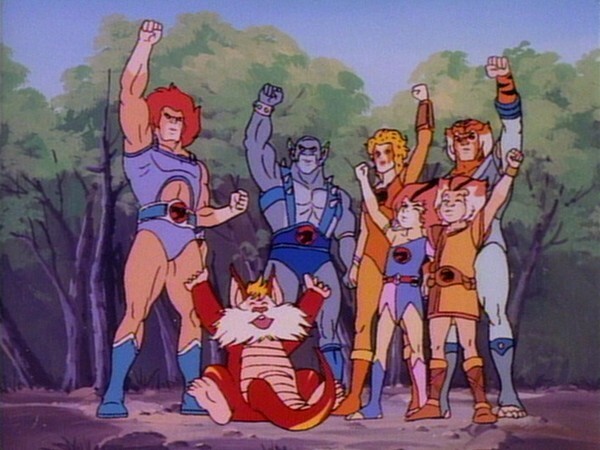 After a while of watching ThunderCats, it can become easy to forget the more feline attributes of the ThunderCat characters and instead come to think of them merely as super-agile, physically above-average humanoid warriors rather than as what they are: essentially an amalgamation of cat and human, with many of their appearances heavily emphasizing their cat-like traits. 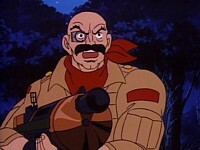 However, an episode like “Safari Joe” brings back to the audience’s attention our heroes’ feline attributes, when the eponymous intergalactic big game hunter attacks the ThunderCats, not because of a grudge or a lust for power, but because they are the only type of cat he has yet to hunt. Not only is this a clever premise, but it also provides the series with one of its most memorable episodes. In many ways, this episode is something of a statement from the writer Stephen Perry on the subject of big game hunting, with so many animals in our past having been hunted to the point of extinction. Safari Joe is in many ways a caricature of a big game hunter: a greedy, selfish and boastful character. The episode makes it clear that, whilst nominally hunting under the banner of sport and love of a challenge, Safari Joe is actually a cowardly bully who delights in hunting because of the feeling of superiority it gives him. 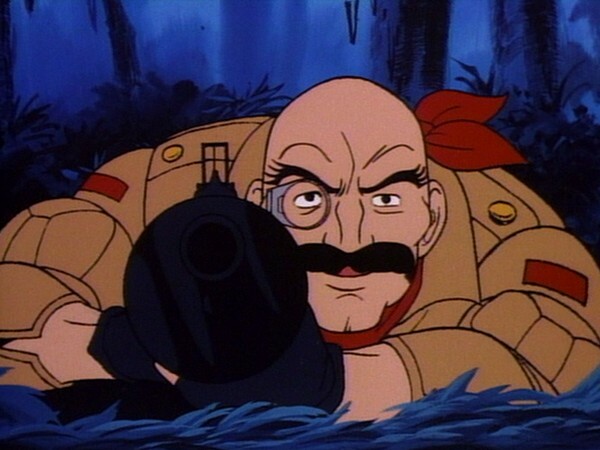 Although it could be argued that, by stereotyping hunters in such a way, this is actually a slightly risky plot by the writer, it succeeds in making Safari Joe a thoroughly dislikable villain, embodying everything the ThunderCats (and thus a large percentage of their audience) would find loathsome. This episode is also a great showcase for Lion-O, for many reasons. 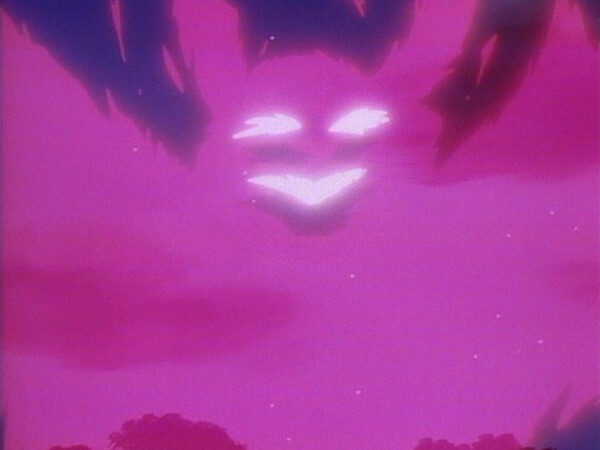 As well as being revered by Safari Joe and Mule as the most obviously dangerous of the ThunderCats, this episode shows Lion-O triumphing even without the Sword of Omens, instead using his intelligence and cunning to outwit and ultimately intimidate the hunter. 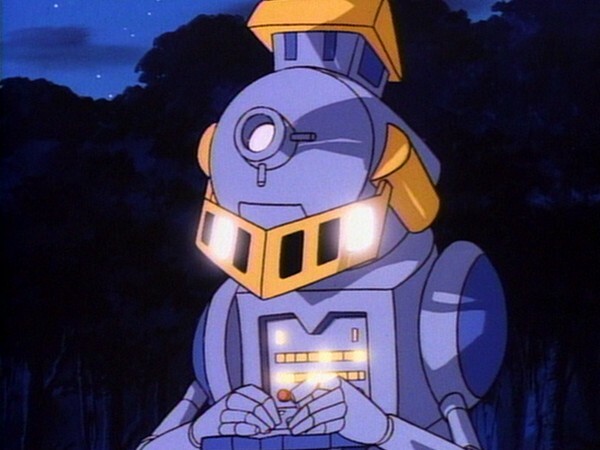 Calling on the wisdom we’ve seen him fast acquire throughout the course of the series, Lion-O successfully fathoms that at the heart of most bullies lies a coward, and that the bullying aspect of Safari Joe’s nature really serves to cover his own inner cowardice. That Lion-O should lure the hunter into his own territory of Cats’ Lair shows a cunning that amply displays how smart and battle-savvy the young lord has become, and one of this episode’s main themes, that of focusing the audience’s attention back on the ThunderCats’ cat-like attributes, is again touched upon when Lion-O lets loose several bestial roars to intimidate Safari Joe. Indeed, another of these roars is used as Lion-O leaps out of the trap that Safari Joe laid for him outside of Cats’ Lair, a lovely little touch that again accentuates the dynamic of big game hunter versus humanoid, cat-like prey. There is a great deal to love about this episode, which I personally consider to be one of the most flawless examples of storytelling seen within the ThunderCats series. 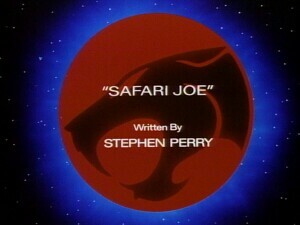 The storyline is engaging and suspenseful; Safari Joe himself feels like a legitimate threat with an element of complexity to his character; the visuals are striking; the dialogue is snappy, memorable and feels natural; and the episode is a great showcase for all of the ThunderCats and their abilities (albeit a rather unflattering one for everyone but Lion-O!). 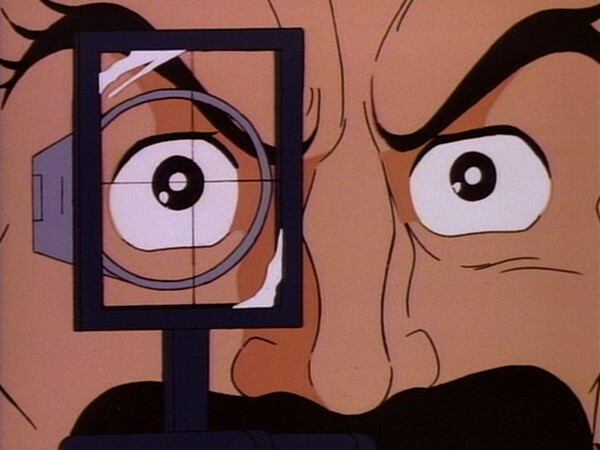 Even though this episode is completely devoid of the usual threat of Mumm-Ra and the Mutants, in actual fact this is barely noticeable—such is the sense of threat posed by Safari Joe. In short, this episode is a true classic, and a deserved fan favorite! 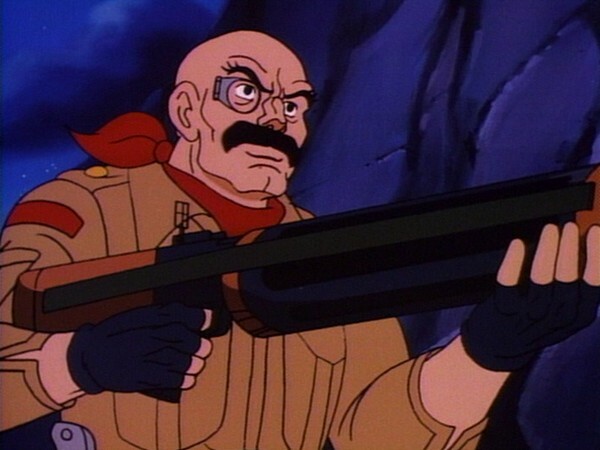 A large portion of the animation sequence in which Safari Joe captures the Thunderkittens would be reused in “Fond Memories”. WilyKat comments that he is “finally getting the hang” of piloting his spaceboard, suggesting that this episode takes place very soon after “The Time Capsule”, even though, in terms of production order, several episodes have transpired in which WilyKat has piloted his spaceboard with ease. In this episode we learn that Tygra cannot swim. Because we’ve already seen him swimming in Castle Plun-Darr’s moat in “The Fireballs of Plun-Darr”, Mule gives us the unsatisfying proviso of “except when he’s invisible”. Of course, we never get an explanation as to why his visibility or lack thereof should affect Tygra’s ability to swim! 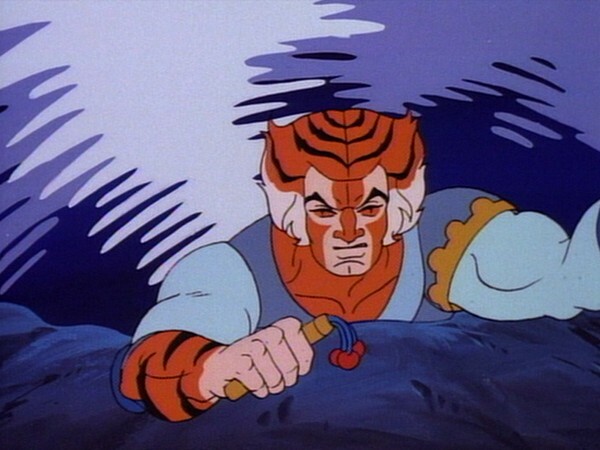 Marvel Comics’ adaptation of this episode for their UK ThunderCats comic series was published before their adaptation of “Fireballs of Plun-Darr”, where, in an added line of dialogue, Tygra explains to a surprised Willa that he was motivated to learn how to swim after his run-in with Safari Joe! An early copy of the script for this episode spells Safari Joe’s name as “Safari Jo”, both in the episode title and throughout the script itself. This strange (and typically feminine) spelling variation even made its way into Marvel Comics’ adaptation of the episode, both the US printing and the UK reprint! The original script for this episode describes Safari Joe as wearing a hat! 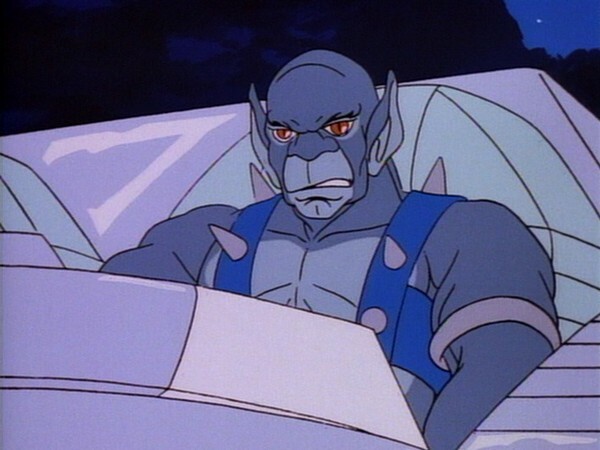 In this episode we learn that Panthro is afraid of bats—a phobia that will be used against him again in “The Mumm-Ra Berbil” and “Shadowmaster”.